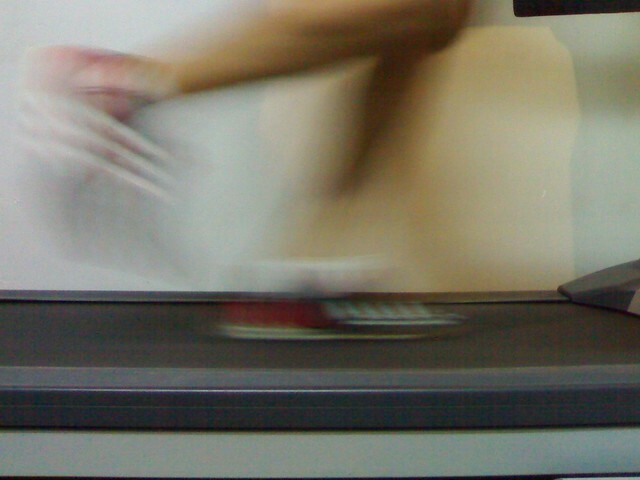 The Treadmill Pace Conversions chart is the most commonly visited page on HillRunner.com. It’s also the page that, by far, I receive the most inquiries about. I’d like to take some time here to address some of the most common inquiries. Below, in no special order, are the most common questions I receive about the chart and my answers. What is the source of the data for the chart? In the late 1990s, some post-graduate students gathered data from multiple studies done in the 1980s and 1990s. They used primarily data on oxygen consumption, comparing runners of various abilities running on outdoor tracks at various paces to the same runners running at various paces and inclines on treadmills. The oxygen consumption between methods of running was compared and the data extrapolated to produce this chart. With the permission of these post-graduate students, I reproduced the chart on HillRunner.com, I believe originally in the early 2000s. Unfortunately, they told me I didn’t need to source them and I didn’t understand the importance of doing so at the time so I didn’t. After a couple computer crashes, I lost track of the original source. I’ve searched for it several times and haven’t been able to find it. The numbers seem off, what’s up? Especially at faster paces, I agree. The number do seem off, in some cases by quite a bit. My best guess is that, at faster paces, fewer data points were available because it takes a runner of pretty extreme fitness to run, to take the extreme, 12 miles per hour at a 10% incline on a treadmill. Anyone who knows statistics will tell you that fewer data points means more margin for error. At more moderate paces, the numbers seem generally reasonable to me. How should I use this chart? My usual advice for using the chart is to consider it as a starting point. If you’re aiming for the effort of about an 8:00/mile outdoor run on level ground, then you might start at 7.8 mph at 0% incline or 7.5 mph at 1% incline. See how that feels and adjust as you feel necessary. Remember, these are roughly speaking just averages of many runners. Some runners may find a specific setting easier than the chart suggests, while others may find it harder. In the end, I believe you should always trust your perceived effort level but this should give you a rough starting point. Another way of using this is to consider how a workout went. For example, when I am on a treadmill, one of my favorite workouts to do is a hill progression. Every half mile, I increase the incline by a half percent without changing the speed. So, let’s say I ran a progression at 8.0 mph and got up to an 8% incline. How good of a workout was that? Well, I can use the chart to estimate that it was roughly equivalent to an outdoor progression run that topped out at roughly 6:00/mile. Why is treadmill running different than outdoor running? I’ve seen several reasons hypothesized. The one that seems to have the most evidence and make the most intuitive sense to me is that you aren’t moving through air. Wind resistance may not seem significant at 8:00 or 10:00/mile but that doesn’t mean it doesn’t affect you at all. Can you put this into a calculator or expand the chart to include more paces/inclines? The chart is not based on a formula and the data does not nicely fit a formula. So I don’t see any way to create a meaningful calculator. As for expanding the chart, I suppose it’s technically possible to make some inferences. However, I have always been hesitant to do so because it would then misrepresent what it originally was. If you have any additional questions, don’t hesitate to ask me. I’ll do my best to answer and, if a question comes up often, come back to add it here. 4.2 mph at 16% incline. 5.0 mph at 18% incline. 5.5 mph at 20% incline. 6.0 mph at 22% incline. Can a pace on flat ground be arrived at for above? I’m sure rough equivalents could be extrapolated from the chart’s data if trend lines could be determined. However, as I pointed out in the post above, I don’t want to misrepresent what the chart is by doing so. Sorry if this is an inconvenience but I strongly believe it would be wrong to create such a misrepresentation. Hi Dennis. Based on a quick calculation, you are covering 0.025 miles per minute, which is 0.625 miles in 25 minutes. First, a 4:36 mile at 72 years old! That’s very impressive regardless of where you’re doing it. Congratulations! If you can carry that pace to the outdoors or even close, I’d encourage you do do so as the 70-74 age group world record is 5:19. As for an equivalent time on a track, I’m sorry but the source data only goes as fast as 5:00/mile. As I point out in the last question addressed in this post, inferences could probably be made about other paces outside of this range but I’m not going to make inferences and offer them up because I believe that could lead to a misrepresentation of what the source data itself is. I am a 21 year old female. I run at a 0% incline at 6.0mph that increases to 7.0 over the duration of 15 minutes. After a break I repeat this. I typically run three miles by the end, I am thinking. I am new to this and have been running about a year and a half, on and off. What I am mainly wondering is if that is a slow rate considering my age and other factors. Thank you! It’s so hard to say whether that is slow or fast. Really, it doesn’t matter anyway. What matters is whether or not you’re getting out of it what you want. I’m sure there are people your age both much faster and much slower than you. The question you need to ask yourself is what you want to get out of this running and is this running accomplishing that? My question is.. At level 12 what’s the percent grade? Is this a good work out? On most treadmills, the incline level is percent grade so 12 would most likely be a 12% grade. To be sure, you would need to look up the manual for the specific model of treadmill you’re using. As to whether this is a good workout or not, that depends on a lot of factors. The main question is whether or not it leaves you pleasantly tired at the end. At 5 days a week, you don’t want to feel beat up at the end but you shouldn’t feel like it was, for lack of a better metaphor, a walk in the park. If you feel pleasantly tired at the end 5 days a week, then I’d say that’s a good workout. Now I started inclines on a treadmill grade of 10% at 5mph, I did 2 minutes and my heart rate is 190 bpm and I am done. The first time only took 1 minute for that same affect haha …But This absolutely does not match what the numbers are suppose to be .. I am overweight,5’7″ 220 lbs with 65 lbs needing to leave .. does the extra weight affect someone more seeings it is dead weight not muscle ..on an incline more than at normal weight to frame ratio? Good question and one I thought I already had in the FAQ. I’ll have to get it added. The chart represents averages. In short, everybody is different. Some of us struggle on inclines more than others. There could be many reasons for this, from biomechanics to weight to physiological differences within our muscles themselves. For whatever reason, though, these can affect how the chart applies to us. My usual suggestion is to use the chart as a guideline but always allow your body to dictate what you should be doing. The chart gives you an idea of what you can expect but, depending on how you as an individual react to the treadmill, you may need to adjust. Previous PostPrevious A sub-2 hour marathon in 2017?